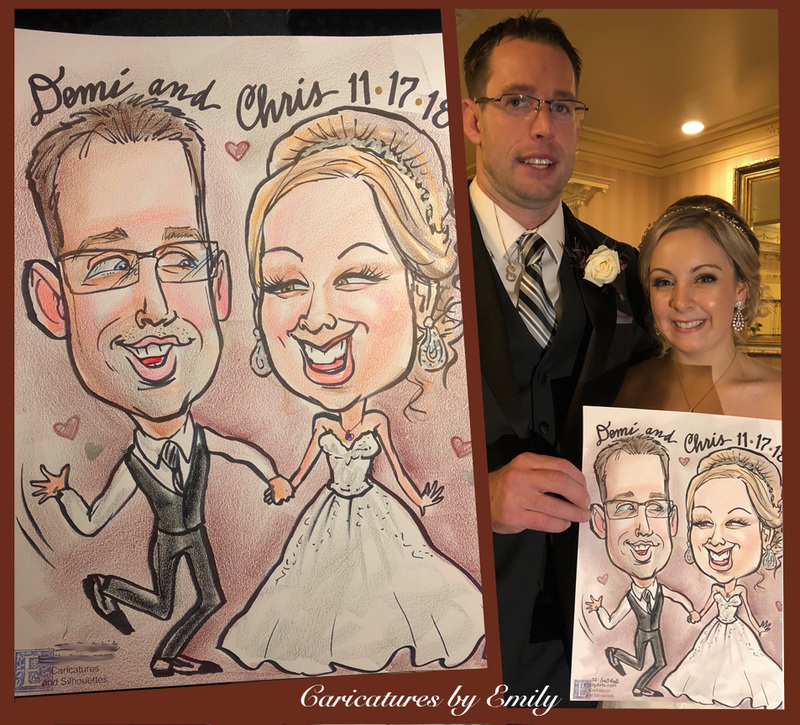 Having caricatures or silhouettes done at your wedding reception makes your celebration delightfully EXTRAORDINARY and MEMORABLE! Your guests get a one-of-a-kind favor especially made for them. The performance aspect fascinates all who watch the creation of these original pieces of art. Here are the types of services Emily provides for weddings. 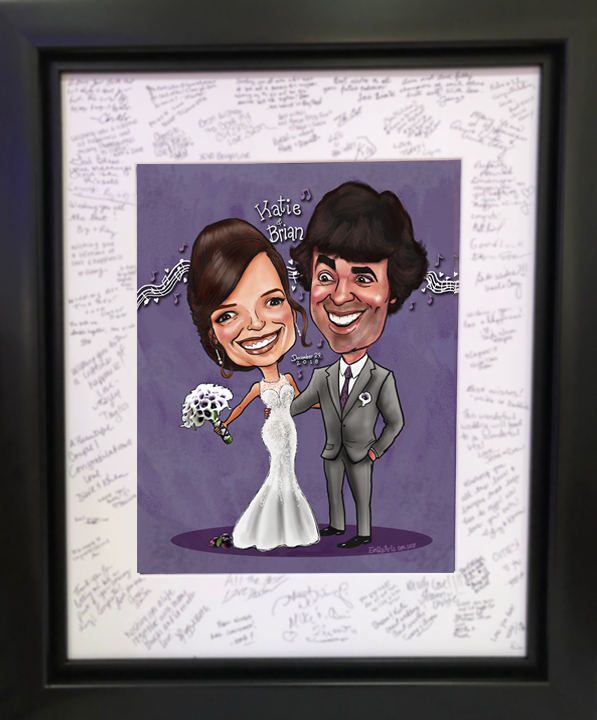 Live caricatures, created on the spot at your wedding reception, are an enjoyable entertainment for your guests at both your cocktail hour and later on during your reception. They are also the best wedding favor ever! 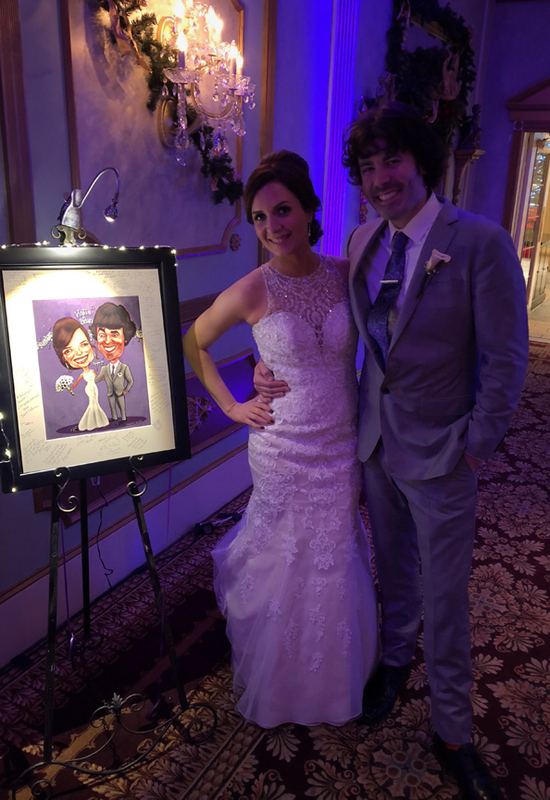 Before the wedding, you provide photos of your faces, wedding attire, and hairstyles, and Emily will create a digital painting (that can be printed at any size) for display at the reception. The wedding color is used as the background. It then acts as a delightful sign-in for your guests (instead of a guest book you'll put away and never look at again). One extra benefit to this, is that the bride and groom do not have to sit for a their caricature when they'd rather be on the dance floor or mingling with guests.